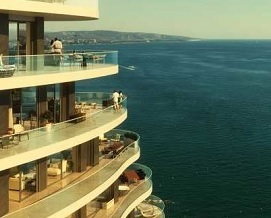 The Republic of Cyprus encourages Foreign Direct Investment, and it is a central economic policy objective. The intention is to attract high net worth individuals for high net worth immigration to settle and do business in Cyprus. Benefits of investment in Cyprus include the following factors: Cyprus is an attractive destination for investment, highly specialized human capital in Cyprus, reliable legislative and regulatory framework, stable tax system and the safe and stable conditions in the country. Therefore, the Government of Cyprus has established and revised the â€œCyprus Investment Programmeâ€� on the basis of subsection (2) of section 111A of the Civil Registry Laws of 2002-2017, with specific incentives, terms and conditions and control procedures in order to prevent abuse. According to the Programme, a non-Cypriot citizen, who meets specific economic criteria may apply for the acquisition of Cyprus citizenship through naturalization by exception, after holding a Residence Permit for 6 months. Cyprus occupies the southern part of the island of Cyprus in the eastern Mediterranean. Known for beaches, it also has a rugged interior with wine regions. Coastal Paphos is famed for its archaeological sites relating to the cult of Aphrodite, including ruins of palaces, tombs and mosaic-tiled villas. Cyprus is a major tourist destination in the Mediterranean. 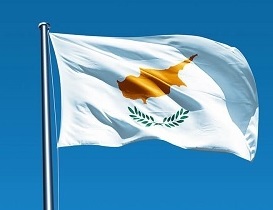 With an advanced, high-income economy and a very high Human Development Index, the Republic of Cyprus is a member of the Commonwealth since 1961 and was a founding member of the Non-Aligned Movement until it joined the European Union on 1 May 2004. On 1 January 2008, the Republic of Cyprus joined the eurozone. In 2013, the population was estimated to be 1.2 million people. 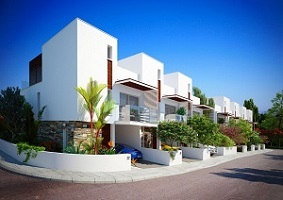 Why Invest in Cyprus Property or Businesses? Geographical position - Cyprus is uniquely situated at the juncture of 3 continents, with advanced infrastructure and services. 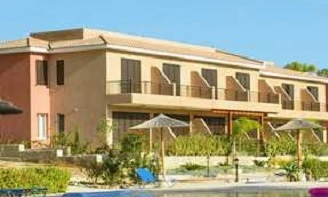 It is an ideal location for investment in various sectors, such as shipping, tourism, energy and corporate services. Multicultural Environment - Cyprus has always had a multicultural population (AkÃ§ali, 2007), comprised of Greek Cypriots, Turkish Cypriots, Armenians, Maronites and Latin. As a result of globalization, Cyprus has received a significant number of foreign workers and immigrants from Asia, Middle East and the former eastern block, whose number is increasing rapidly. Today, 20% of Cyprus population are foreign nationals. Natural Resources - The recent discovery of gas in the exclusive economic zone of Cyprus has resulted in international interest for huge investments. Tourism - Tourism is a guaranteed high earning sector. The potential for growth in this area is huge and financially benefits all sections of society. Climate - Warm Mediterranean climate all year round, one of the mildest climates in Europe. Education - There is a high standard of education in both public and private schools and Universities offer worldwide respected education. 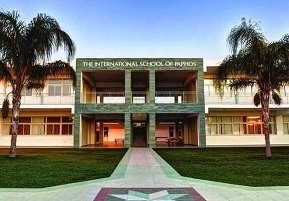 English is widely spoken and taught at Schools. Infrastructure - The advanced infrastructure is supported and maintained by both the Cyprus Government and the European Union. There are newly expanded and refurbished international airports, a modern motorway network and existing and planned marinas. 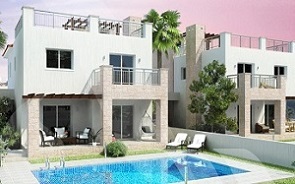 High Standard of Living - Cyprus has a high standard of living and low cost. It is an extremely popular destination for people wishing to emigrate, retire, invest or buy a holiday home. With stunning scenery and breath-taking landscapes, surrounded by the Mediterranean sea, the island (full of tradition and history) offers a new life for those wishing to increase their standard of quality living. Healthcare - Public and private healthcare is available across the island, offering exceptionally high standards. State-of-the art modern hospitals and clinics combined with highly trained international medical staff ensure that healthcare is second to none in Europe. Telecommunications and Technology - Cyprus uses an extensive submarine fibre optic cable network, and has access to major regional satellite systems. It has one of the most highly skilled technical workforces in the European Union. Increasing numbers of technology companies are choosing to relocate their operations to Cyprus. Financial and Tax benefits - Cyprus maintains a large internal banking organization, operating under European directives. There is zero Inheritance and Wealth tax, whilst corporate tax is the lowest in the European Union, only 12.5% (2014). Legal System - As an ex-British colony, Cyprus benefits from an efficient and transparent British-based legal system. The legal system is based on international and EU law. A strong network of legal assistance is available, with multilingual seeking professionals, offering advice and guidance on all legal issues, including human rights. Safety - Safe and relaxed environment for residents and visitors, throughout Cyprus. European Union - Since May 2004, Cyprus has been a member of the European Union, and in May 2008, the Euro currency was introduced, replacing the Cyprus Pound. Cyprus residents enjoy the full benefits of the European Union and freedom of movement throughout Europe. Governing System - Democratic system, with strong legal framework, with protected human rights. Corporation - Cyprus has established itself as a reputable EU country, with a secure business environment, and large international corporations have set up their office on the island. 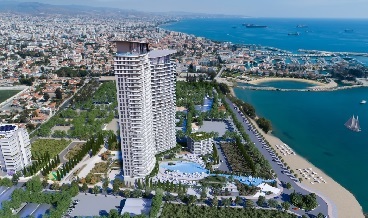 What is the Property investment amount for the Cyprus Investment Programme to become a Citizen of Cyprus ("Scheme for Naturalization of non-Cypriot Investors by Exception")? C. Invest at least â‚¬2 million in Alternative Investment Funds established in Cyprus, licensed and supervised by the Cyprus Securities and Exchange Commission and exclusively making their investments in the Republic of Cyprus. D. The applicant may proceed with a combination of A, B and C above, provided that the total investment will amount to a minimum of â‚¬2 million. 1. Investors will be required to make a donation of 75,000 EUROS to the â€œResearch Promotion Foundationâ€� for research and development. 2. An Additional donation of 75,000 EUROS will be required to be paid to the â€œCyprus Land Development Corporationâ€�. 3. Investors will be required to maintain their investments for a period of 5 years from the date of Approval instead of 3 years. During those 5 years they can sell or change their investment to an equivalent investment by granting an approval by the Ministry of Finance, in advance. 4. Each Applicant above the age of 18 must hold a valid Schengen visa at the time of the application submission. Passport holders from Countries that Schengen is not required in order to travel in the area are excluded and they will not be asked to provide this document. 5. In cases where an applicant has previously submitted an application for obtaining a Citizenship in another EU Member state and has been rejected, the Investor will not be allowed to submit an application for obtaining the Cyprus Citizenship under the CIP. 6. In the Instance where a residential property acquired had already been used by another investor for the purpose of CIP, the required investment amount is increased from 2 million Euro to 2.5 million Euro. Certificate of completion signed by the Architect of the Project (for completed properties). 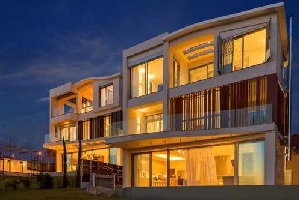 In cases where a property is not completed (under construction, off-plan) at least 5% of the total value of the property should be blocked in a bank guarantee OR a separate special account. 8. The Investment criterion in Government bonds (for 500,000 EUROS) is now abolished. Passport application - Approved in about 6 months. Passports for Family members - Passports are issued to investors, their spouses, parents of the investor, their financially dependent adult children under the age of 28 years, and minor children under 18 years. Dual Citizenship - Cyprus allows dual citizenship. Freedom of Movement in EU - Cyprus citizens enjoy the freedom to live, work and travel in any of the EU member states, as well as Switzerland, Iceland, Liechtenstein and Norway. 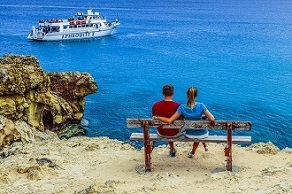 Visa Free Travel - Cyprus passport holders enjoy VISA FREE travel to 173 countries, as per the Passport Index, and it is the 16th ranked Passport in the world, as at January 2019.
Business in EU - Business opportunities are available for free trade to over 500 million EU citizens. No Language or Health Test - No language requirement (No Cypriot language ability needed), No medical test, and No interview. Worldwide Visas - Cyprus passport holders can obtain visas faster, and at a lower cost to travel to countries, including the US. Favourable Tax System - Cyprus does not impose inheritance tax. It also has a sound corporate income tax structure, and comprehensive double taxation agreements. Note that there is No need to pay personal income tax if one is not a registered taxpayer. No Residency requirements - There is no residency requirement for new immigrants. In other words, there is no requirement to live in Cyprus before or after obtaining the Passport. Citizenship can be Inherited - This leaves a legacy for future generations. Immovable Property Tax will be abolished as from the 1st of January 2017. Also, Transfer fees are permanently reduced to 50%. Education in any EU Country - The right to attend schools/universities within any EU country for free or with reduced tuition rates, as applicable.